Remember when the Wu-Tang Clan announced that their final album, Once Upon a Time in Shaolin, was being auctioned off for five million dollars? Well, the project has officially sold to a pharmaceutical company executive after a six-month-long negotiation that began in May. Bloomberg Business reports that Martin Shkreli bought the one-of-kind album, which includes all nine members on 31 tracks and features rare collaborations, through online auction house Paddle8. Shkreli, who has been accused of price-gouging with respect todrugs that assist cancer and H.I.V. patients, did not disclose how much he paid for the album. After getting an intimate 13-minute private listening session and outbidding other buyers, Shkreli has not even fully listened to the project yet: “I think I’m going to kind of save it for a rainy day,” he said. 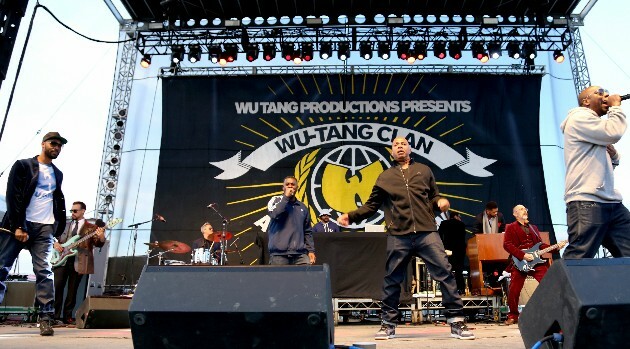 Meanwhile, its possible the public might hear the set should the owner decided to release it on the Internet — Wu-Tang recently lifted the copyright clause, which stated that the buyer cannot release it commercially for 88 years.